China which has a dominant naval position through a series of island chains in the pacific has the advantage and besides the Chinese neighbors has to depend on the Chinese economy and trade. Compounded with this is the inability and uncertainty of the American reaction. Seeing the US withdrawing from the Middle East and Afghanistan, there seems to have little or no choice for Asia but soon will be forced to adjust their policies to line with the Chinese preferences. That is exactly what Burma is doing especially its current leaders, the vehemently hated Generals who are very desirous to stay on in power with the help of China and have outflanked Daw Aung San Suu Kyi to get the Western Sanctions lifted. From the perspective of the Chinese both academics and layman sees America as a wounded tiger to be very much feared that will attack anyone to thwart the rise of any challenger of which China is the most credible. No matter how Chinese pursues co-operation with Washington it’s fixed objective is to hem a growing China with military deployment and alliances as what it is doing now in Australia and Southeast Asia in the South, Japan, South Korea and Taiwan in the East, India and Middle East in the West and of course there is Russia and Europe. Here Burma plays a vital part for soon it will be in a position to stop the flow of oil from the Middle East, if it chooses to be in the American Camp. If there is an encirclement led by the US succeed it can prevent China from playing its historical role as the Middle Kingdom (Chung Kuo 中国). In this perspective any sustained cooperation with the United States is self defeating. Hence according to Long Tao the current Chinese strategic thinker, it is far better to strike first before thing gradually runs out of hand, so launching some small scale battles could deter provocateurs from getting going further and a classic example is the Spratly Island dispute with Vietnam and Philippines. China has a long history of shoring up the dictators of the world and her latest veto on Syrian clearly demonstrated that the Chinese leaders could not allow one of their dictators fell again like Colonel Mohammad Gadaffi for birds of a feather tends to flocks together .Obviously the Chinese leaders cannot allow a flourishing democracy at its back door in Burma. So when Commander-in-Chief of the Burmese army Gen Min Aung Hlaing visited China in November. last year and signed a Defence Pact with Gen. Chen Bingde of the PLA, there was a rumor that China will give a hand by recognizing the new regime if ever it launches a military coup against Thein Sein Administration (which was legally allowed in the Constitution) and this was clearly written in the diplomatic language of the Sino-Burma Defense Pact as “no matter how the international situation changes,” according to the Chinese state-run, Xinhua news agency. The hidden fact is that once the Western sanctions are lifted, China will not be in a position to monopolise the Trade and Development knowing full well that this step back will be very beneficial to China. Now that Shwe Mann (butcher of Depaeyin), speaker of the lower house and Deputy Chairman of USDP the ruling party met Wu Bangguo, Chairman of or National People’s Congress and the Politburo Standing Committee, while Thein Sein is schedule to go in May things may become more clearer. It is natural that Ideological predispositions battle with the dictatorial countries where most of the political scientists believe that democratic China will have little cause to fear as it was the people and not the dictators that decide the fate of the country and the world. To this theory the Chinese leaders construe that the West lead by the US is destabilizing China with the ideological imperialism. Obviously all dictatorial countries are inherently sensitive as crying wolf and endeavor to rally the domestic support by nationalist rhetoric and practice. Therefore the Chinese argue that the ultimate aim of the US is to hasten the revolution in China, where soon there would be a mass uprising and naturally cold shivers runs through their spines of the Chinese Communist leaders as even now there was a mass defection of Communist cadres from the party. But we should learn our lessons in the contemporary history of the Cold War between the US and the Soviet Union. Except in the spending of military, the Soviet Union was no match against the American economy. The weak Soviet economy did not much affects the world except to a small extent in the socialist countries. But the current China is the most dynamic factor in the world economy and if these two giants come off to blows, then the world economy will be very much affected with dire consequences especially to the Asian countries where Burma will become a battle ground just like the 2nd World War and be reduced to dust. Asian countries knew the American values of Democracy and Human rights are universal and indivisible are part of the world’s culture and the majority of the people of Asia are anathema to the Chinese support of the dictatorial regimes such as Burma, Syria, Zimbabwe etc. China has its own rationale but an average man could not comprehend the Chinese policy. Chinese military build up is not a phenomenon as it is natural for the world’s largest economy with the largest population and the largest importer of natural resources would do. But to what extent is the question? Is it for defensive or offensive? This lead to the question of what are the capabilities of the weapons and the consequences should be the barometer. An unrestricted arms race will surely have a dire consequences and we construe that the Chinese leaders are well aware of its own history and the role they are going to play in this bi-polar or multi-polar world. The other perspective is that the West often refer to China as a rising power that will need to be “matured” and learn how to exercise “responsibility” on the world stage is somewhat similar to what China treats the West as barbarian before the Opium Wars (1st Opium War1839; 2nd 1856, 3rd 1884 ). The reality is that China is not a rising power but a retuning power, as Dr. Henry A Kessinger (the former Secretary of State that initiated the American China policy) describes it, except that it has been replaced by colonial exploiters of the West for two millennia. Lecturing a country with a history of millennia about the need to “Grow up” and behave “responsibly” will be an insult to the |Chinese even though it has behave it in the case of Burma, Iran and Syria. China exercising its influence in economics, cultural political and military should rather be treated as normal unless the West led by the US wants to initiate a new Cold War. The Burmese like the Chinese are a proud people following a century of humiliation at the hands of the British and then reeling for three quarter of a century under the boots of military is about to be awaken up, if the two super power reach an accord and handle this little sly fox properly. 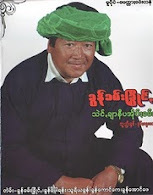 The military both existing and retired abhor federal system, which in their hearts of hearts know that they will have to share their resources with the Non Myanmar groups giving the pretexts of disintegrating the Union. The fact that these men in uniforms did not recognize the making of modern Burma at Panglong (1947) itself is against the Union of the country and against Democracy and Human Rights. Since this country being in the back door of China and look forward to US the two giants should have a thorough discussion before taking a well coordinated action on this puppet regime of Thein Sein.